Now that there’s more marketing data than you can click a mouse at, it’s easy to experience data overload. You may get questions about how much traffic Facebook is driving to your website. Then there are requests for traffic to a specific webpage or the number of people who visited your site from a specific location. All of these data requests can be good for your business, but when you are asked about these things, your role as a marketer is to ask, “Why?” Why would my sales team need to know where the traffic is coming from? Why does the CEO need Facebook information? Sure, it’s much easier to just look up the information and send it, without context, to the person who requested it. But those requests mean one thing: You’re not setting goals. Why Set Goals with Marketing Data? There’s one more way that goal-setting with marketing data can directly affect you as a marketer—it can legitimize your efforts. Before marketing data was easily accessible, marketing departments could report achievements, such as leads from a tradeshow or direct mailers sent. And early on in digital marketing, website traffic numbers and email open-rates were announced but generally misunderstood. Today, more than ever, marketing isn’t about one-time achievement; it’s about constant improvement. How Do You Set Proper Goals? When setting these goals, you should look back at how your digital marketing efforts have performed in the past and begin to set goals for the next 12 months for each metric. However, it’s important to avoid pie-in-the-sky numbers. You may want to go from 10,000 visitors per month to 1 million visitors per month, but that’s unrealistic. Likewise, going from zero leads to 1,000 in a month may be impossible. You should challenge yourself by setting these goals, but don’t set yourself up for failure. Depending on your organization’s needs, you may want to track landing-page or call-to-action performance. You can also track social media followers if that’s important for your marketing. And if you are doing any outbound marketing, you can track that, too. Just remember to keep focused. Once your organization has agreed on your marketing goals, the majority of your effort should go toward meeting those goals. And if you get a request for data that doesn’t match up with what you are measuring, you should determine if that request is actually a metric that you should be measuring—and improving over time. 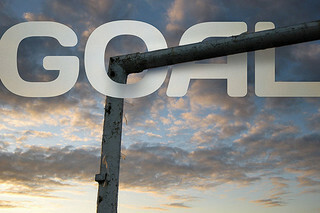 Are you setting goals for your marketing efforts? Let us know what some of your most important metrics are in the comments below.